2) Quantity: 100 containers or 2.700 mt . 3) Shipment Period: June 2014 . Seller to do its best endeavor in order to stuff containers with 27 mt each. 5) Price: We can consider indication price FOB Santos Port at indication price of Usd 465/mt , considering NYN 17,35 at the moment of writing. 6) Payment terms: 30% in advance and 70% against copy of shipping documents. 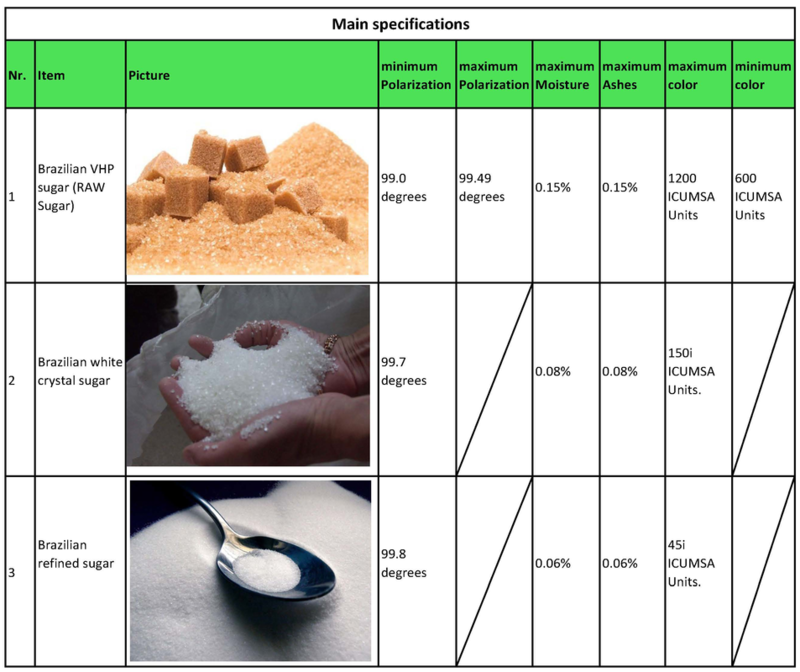 Pls find below report of our sugar Icumsa150 ,which was analysed by SGS in 2012. MT Brazilian Cane White Sugar of the current crop with a minimum polarisation of 99.7 degrees, maximum moisture 0.07%, maximum ash 0.08% and maximum colour 150 Icumsa, all final at time and place of shipment.Packing: in new polythene lined polypropylene bag of about 50 kg net weight each suitable for export. According to GB317-2006, turbidity of white sugar is ascertained by the difference of the attenuation unit of the solution before and after filtering. The substance insoluble in water is considered as foreign matter, it is a physical test. 1. The total bacteria cultivated under 37 degree C within 48hrs. 1. Fecael coliform is a kind of thermotolerant coliform cultivated under 44 degree C, while Total Coliform is total count of coliform cultivated under 37 degree C.
1. Pathogenic Germs is a general name usually including Salmonella, Staphylococcus Aureus, Shigella & Streptococcus Hemolyticus.